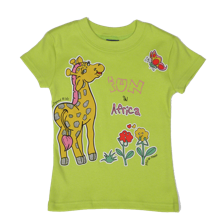 Bright fresh Spring green T has a cute giraffe printed on the front. 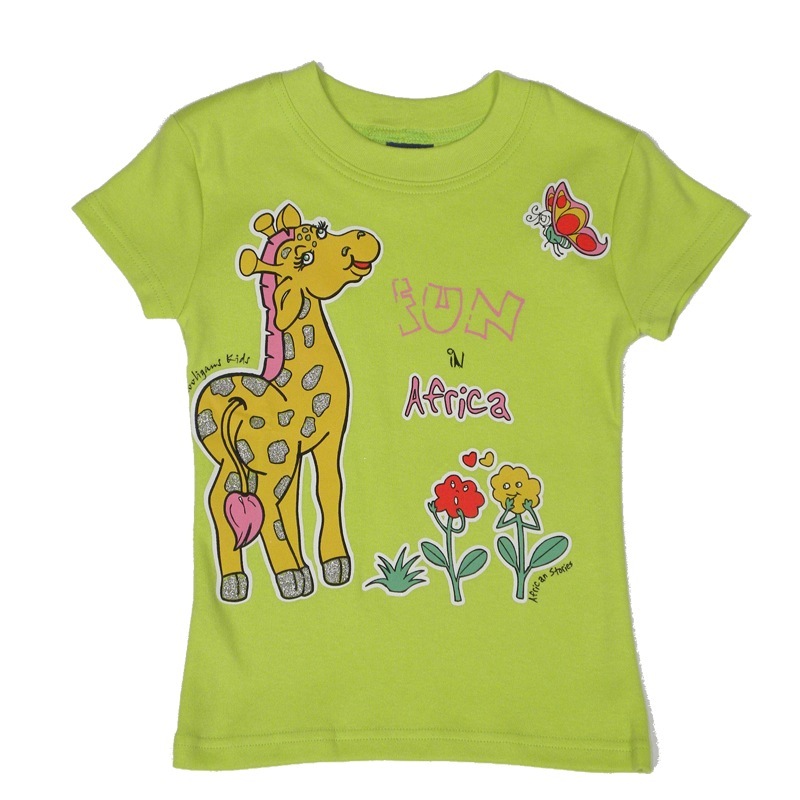 She is joined by 2 flowers & a little butterfly. Her spots & hooves are covered in glitter.